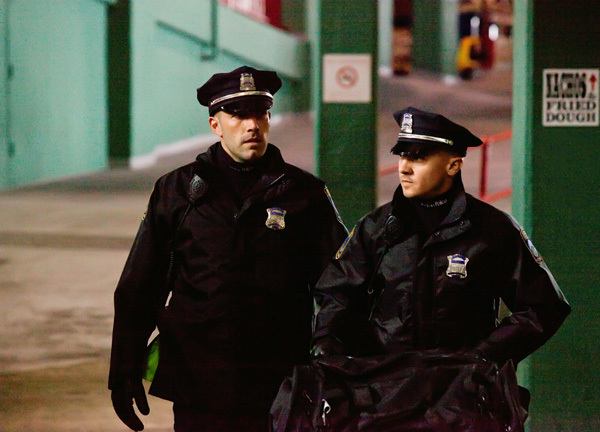 Movie Review: The Town- Ben Affleck’s Second Directorial Outing Has a Seemingly Generic Heist Story With Complex Characterization and Proves He Can Direct | Generation Film! Heist movies have adopted a generic delivery formula in the last decade mostly due to the success and popularity of Michael Mann’s Heat. This isn’t a bad formula because it certainly allows for different perspectives on the nature of crime, the limits of police procedure, and the complexity of characters. Writer then actor turned director Ben Affleck’s second feature film at the helm, The Town, definitely follows a similar pattern of Michael Mann’s Heat with the focus on the criminals and the law that is only slightly one step behind them. However, Affleck and his fellow screenwriters have proved that they can make interesting and morally complex characters that are able to drive the core of this seemingly generic and unrealistic heist film into believability. Affleck proved his new founded worthiness of directorial respect with his debut film Gone Baby Gone and he uses the same setting of his home city of Boston, specifically Charlestown, for The Town. Supposing Affleck takes to heart the advice to write what you know it is clear that he knows his home city very well and portrays all the grit and moral ambiguity that encompasses any modern city. Even if The Town isn’t the best movie of the year it is refreshing to see Affleck embrace the necessary pacing, dedication to character, and proper storytelling that every director should obtain. Opening up the movie with a suspenseful heist is probably a good idea to grab the attention of your audience expecting a heist movie and Affleck does a great job guiding the camera through the hectic and violent tactics of the bank robbers. Switching from live camera to security cameras was an interesting choice and livens the atmosphere for the suspenseful encounter. Donning skeleton masks and wigs, a disguise that acts as a slight divination to the characters, each of the robbers possess varying personalities on and off the heist. 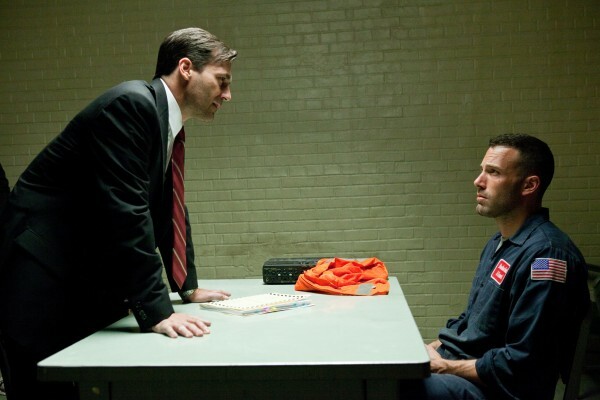 The mastermind Douglas MacRay, played by Affleck himself in a surprisingly good performance, is a controlled and collective criminal who puts nothing to chance. His main partner in crime James, a fantastic Jeremy Renner, is a loose cannon ready to use violence or result to kidnapping based on an impromptu whim. The film for its believability leap that these seemingly uneducated men are genius robbers is proven in their efficiency and overall ability to plan and execute a heist, which is a credit to Affleck to focus on the right things at the right time allowing the audience to follow rather than being told what is occurring. Things get complicated for the crew when Douglas begins to secretly see their abducted victim Claire, who is played remarkably well by the talented and diverse Rebecca Hall, and when a dedicated and equally determined FBI agent (“Mad Men’s” Jon Hamm) starts getting closer and closer to bringing them all down. There is nothing that is instantly portrayed or told to us about any of the characters the script takes its time in revealing a great deal about their personal motivations and reasons as to why they are in the situation they are in. This is an appropriate strength not only for good storytelling but also for gradual character development and realization that is supposed to be inevitable with character arcs. The script is appropriately paced giving us details into characters lives while also integrating the occasional car chase or bank robbery making for a truly suspenseful and character driven experience. While there is a weakness of dialogue in Affleck’s script, a flaw that might not intentionally be one and could probably be attributed to focusing on uneducated criminals rather than sophisticated con men or a group of organized mafia members, there is a genuine atmosphere that is portrayed through Affleck’s camera. Sure there is a clarity of image for the cinematography by Robert Elswit looks fantastic but the characters feel real as the more unbelievable situations begin to unfold. It goes to prove that with great characters and established motivations an audience will go through just about anything and remain complacent in where you take them. Affleck began to show great promise in direction with his debut Gone Baby Gone but now with The Town it can be established that Affleck has better sense of character, story, visuals, and utilizing actors than most of Hollywood’s over-hyped and overpriced directors that plague a majority of films today. Those looking for a heist movie with brains, brawn, and character can turn away from the bland and blatantly copied Takers and instead watch Ben Affleck’s The Town. As was the case with Gone Baby Gone Affleck knows how to work with actors very well but it isn’t just about casting as it is more with utilizing their full potential. Affleck himself work surprisingly well in the lead role despite his repertoire pointing to his ineffectiveness as an actor. Really it is the supporting cast that carries most of the burden for him to just simply work off of with a great performance from Jeremy Renner as a violent sociopath ready to follow the rules of kill or be killed. Rebecca Hall has shown these past few years her strength as an actress, whether it was in Woody Allen’s Vicky Christina Barcelona or the first chapter of the “Red Riding” Trilogy, and she portrays the healing victim of fear very well in The Town. Jon Hamm makes a great transition from his subtle television role on “Mad Men” to a gun wielding FBI agent rather well and provides the great essential counterpart to Affleck’s rogue criminal. The lone scene featuring Chris Cooper as Affleck’s imprisoned father is remarkably done and his emotional distance and lack of honesty acts as a key referencing point when Affleck is told the truth about his mother. Without the subtlety of Cooper’s experience and how Affleck was able to contain it for the final effect’s sake shows a great deal of promise in working with such an actor’s talent. And finally Pete Postlethwaite is given ample opportunity to show his abilities this year after a horribly underused opportunity in the remake of Clash of the Titans and just a momentary appearance in Chris Nolan’s Inception. Postlethwaite is a fantastic actor and his presence in The Town, as a local crime kingpin, seems horrifyingly real. All in all the actors work well in delivering the important qualities that were required of the script’s intriguing character complexities and Affleck’s direction and familiarity with actors can be the sole contributor to the positive outcome of The Town.